Apex Legends, the free-to-play Battle Royale game released by Respawn Entertainment earlier this week, is off to a strong start. During yesterday’s post-earnings conference call, Electronic Arts CEO Andrew Wilson discussed the recent launch. Apparently, the game already pulled in over two and a half million unique users in the first twenty-four hours, but EA is hoping to massively grow the player base over time, potentially up to hundreds of millions. This would happen through cross-play and releasing on additional platforms such as mobile, clearly following in the footsteps of Fortnite. Wilson also commended the marketing team for how the game’s reveal was handled. Well it is early, what I can say is that in the first 24 hours we had over 2.5 million unique users trending past towards 3 million unique users and nearly 600,000 peak and current users kind of in the middle of a Tuesday, so it’s very early but the response to the game has been very, very strong. We’ve been the number one views game on Twitch since launch and player sentiment seems to be very, very high right now. First is that Apex Legends is being built from the ground up with a view that it has the potential to engage and entertain hundreds of millions of players. And when you look at the game and I was watching being streamed early today, that’s mesmerizing to watch. When you watch great players like Ninja playing the game, it’s pretty special and exciting to watch, one of the more exciting games I have ever had the fortunate viewing. And so you can see very clearly as you watch and you play the game, that there are going to be opportunities to take the game in different directions over time. esports will almost certainly be part of that additional game modes, the impact of additional legends over time, great view content will have an impact. As I said earlier, we are looking at how to take Apex Legends to mobile and cross play over time. And I also expect that this game will have tremendous value in Asia and we’re in conversations about that. Some of those conversations as you might guess are new. We took a very deliberate strategy around how to launch this game. Again in a world where we have not executed as well on some things through the past six months as I would have liked, I think the development of marketing teams executed against this extraordinarily well and surprised a global industry. The development team was very cautious about building a completely different game and wanted to make sure by the time they launched this game into the marketplace, it would surprise and delight players maybe how to play from day one. Our marketing team will also be very conscious that when you start talking about the innovative nature of this game, the core play, the squad play, the in-game mechanics, the communication system all the things that Respawn has done that we wanted to be very careful not to tip out hat or show our hand to the competition. We’re going to come out with a truly innovative and creative game. And we also knew that the break into what it is a very competitive marketplace, we had to do something truly innovative with the launch. I think the teams have done a tremendous job there and you should expect that we had very big and robust plans for this game and it will branch in a lot of different directions over time. 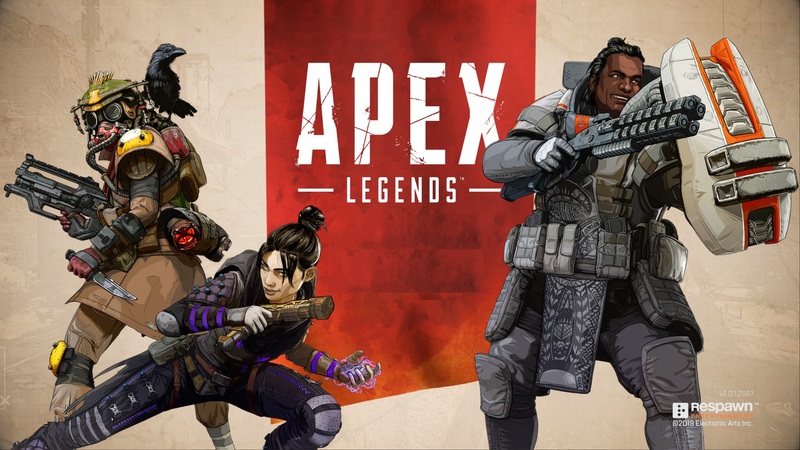 Did you already try Apex Legends and if so, what did you think of it?